Buried deep, deep, deep — buried under 11 paragraphs by the Hollywood Reporter (THR) and 17 paragraphs by the New York Times — lies the bombshell news that Rose McGowan claims she told actor Ben Affleck that Harvey Weinstein allegedly raped her. Not only did she tell Affleck, she claims to have told him almost immediately after the alleged crime way back in 1997. This information adds vitally important context to events from earlier this month. On October 10, a full five days after the Weinstein scandal burst wide open, without ever mentioning the man who gave him his start in the film industry, Affleck tweeted out a statement that made it sound as though Weinstein’s behavior was news to him. In the 20 days since, McGowan has flat-out claimed she was raped, and now, she is flat-out claiming she told Affleck she was raped. Moreover, as we connect the disparate dots, let us not forget that Affleck’s lifelong best friend, Matt Damon, claims that Affleck also knew that Weinstein sexually harassed Affleck’s then-girlfriend Gwyneth Paltrow. If all of this is to be believed, will someone ask Damon if Affleck told him about McGowan? Or is Damon another sacred cow like his pal Affleck? For his part, Affleck has made no comment on the allegations that he knew about Weinstein. He has, though, enjoyed some love from People magazine for adopting a stray dog. Something else Affleck has done is apologize to actress Hilarie Burton after she accused him of groping her in 2003. Soon after, more accusations of groping surfaced, claims that he was grabbing women’s butts at the Golden Globes just two years ago in 2015. In the same way the mainstream media and the three major Hollywood trades — Variety, Hollywood Reporter, Deadline — protected Affleck from the 2015 groping allegations, as you can see from the burying of the McGowan bombshell, so, too, are they now. The question is why? — Why are the wagons being circled to protect Affleck? Time-Warner is one of the largest multi-national corporations in the world, the company that owns Warner Brothers, CNN, HBO — an endless list of companies no one wants to anger and with whom everyone wants to do business. You know, just like they did Weinstein until he became an aging has-been. Well, Time-Warner has invested billions into Ben Affleck through its ongoing DC Comics franchise. 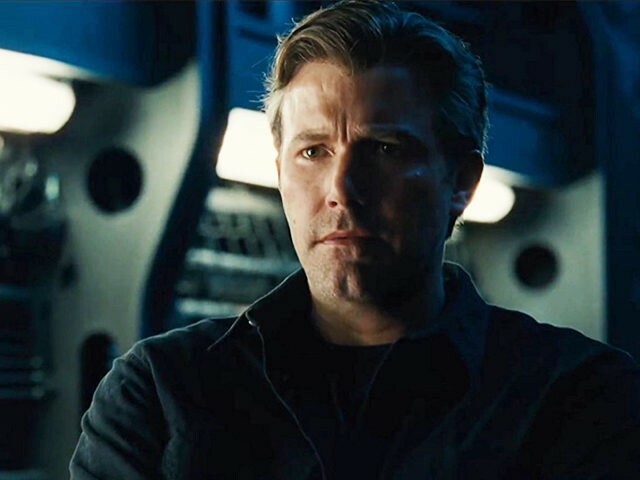 On top of that, in just a few weeks, Affleck will appear once again as Batman in Justice League or what is probably a $350 to $450 million investment for Time-Warner. But it is just not one specific movie at stake. This is Warner Brothers’ golden goose, its whole future as a player in a film industry increasingly reliant upon superhero franchises. Justice League already has a serious war-on-women problem, and now its very own Batman, one of the most iconic characters in all of movies, is even more entangled in a Harveywood scandal that mushrooms by the day.